Home Uncategorized	LEGO® train ACTION! Model trains! EPIC COMPILATION! LEGO® train ACTION! Model trains! EPIC COMPILATION! Do you like Lego® and model trains? 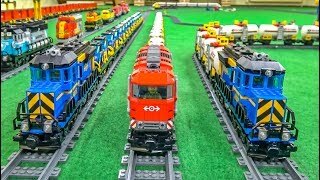 Cool compilation of Lego® trains and epic model train displays. Enjoy watching!